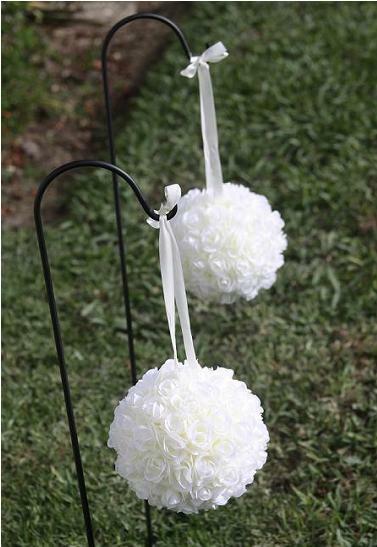 Silk Rose Kissing Balls (Pomanders) - Available on Shepherd's Hooks or hung on sides of aisle chairs (not shown). Also available in red with colored bows. 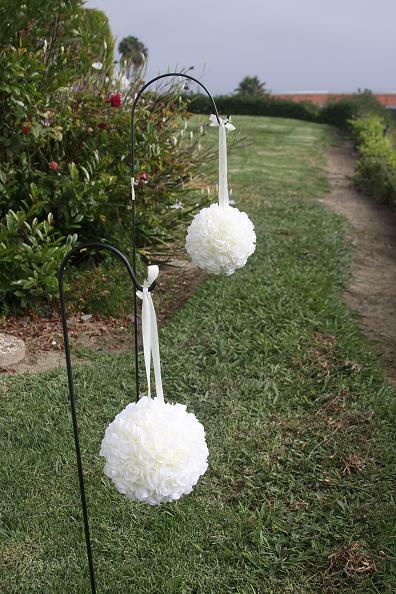 Silk rose pomanders shown on 33" Shepherd's hooks for aisle way at ceremony. Ivory Rose Pomanders shown on 33" Shepherd's hook and taller hook. Ivory shown with light blue bow. 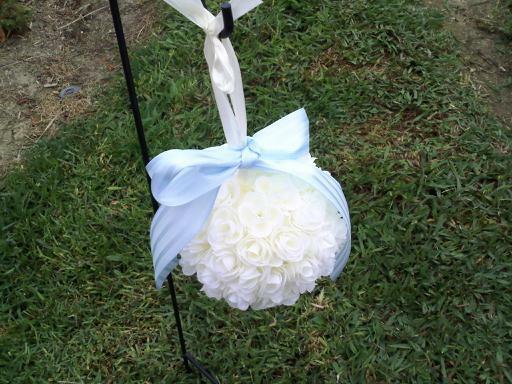 Comes in a variety of colored bows to match most wedding color themes. 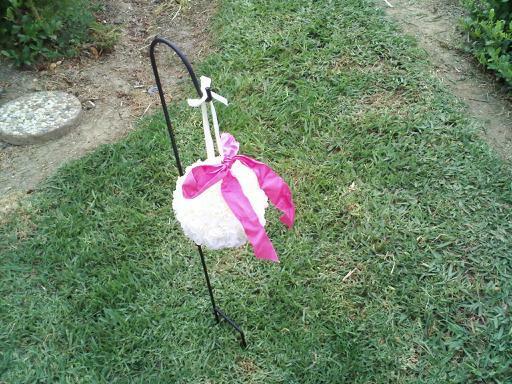 Ivory Pomander shown with Fushia colored ribbon bow.